The economy has improved somewhat since the last recession in 2007. The US Census Bureau’s Income and Poverty in the United States: 2015 report showed that the median income for family households increased by 5.3% in 2015 from 2014. This was the first time the numbers showed any improvement from 2007. Although this may seem encouraging, the truth is that the labor market is tightening. There are more qualified candidates for each available job today than before. In addition to this, it is becoming harder to stretch the dollar today. It doesn’t matter whether you’re single, living with your partner or have a husband and children; expenses can add up. According to the Economic Policy Institute, the average cost of living in the US is over $40,000 annually. The survey by the institute showed that more than a third of households in the US cannot afford this. One of the great things about shopping online is that you can compare the cost of items from different retailers in an instant. You don’t even have to leave your seat. Compare prices of the items from online shopping sites like DailySale and find the best prices for the items you need. Search online retail sites for discount codes and coupons in order to take advantage of hot deals. Never purchase anything until you’re sure that you have found the best discounts and coupons for the items. Check if the site allows you to apply more than one coupon and try to apply them when possible. Do you have a favorite online retail store? Sign up for their newsletter. This will help you to stay up to date with deals and discounts being offered by the store. You’ll know when items you’re interested in are being sold at a bargain and make big savings on your purchases. Are there products that you would like to purchase but aren’t available or you can’t afford at the moment? Create a wish list on your account in order to keep track of items that you’re interested in. You can keep an eye on the items you’re interested in. You’ll be able to take advantage of the sales and discounts when they occur. Online shopping offers convenience, but it can also make you a frugal shopper. With the tips provided above, you can save money and purchase those items you truly need at a great price. 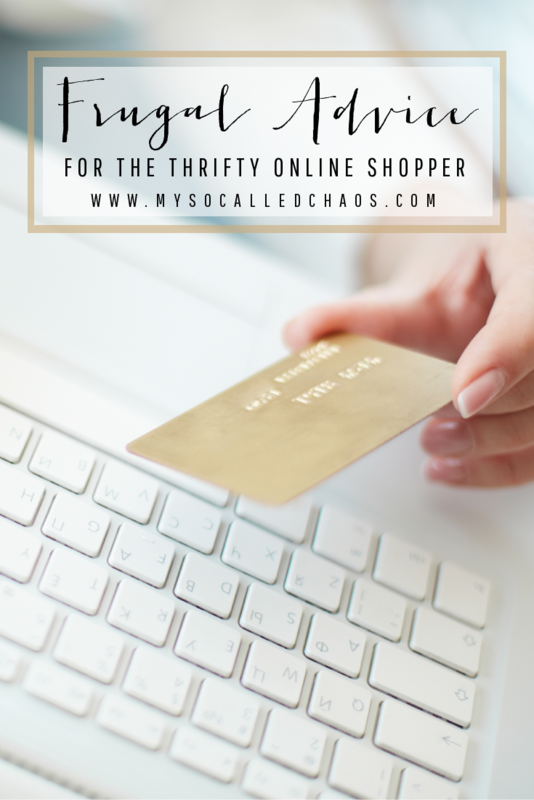 How do you stay frugal online? This post may contain an affiliate link or two. Thank you so much for supporting my blog!